With this smartphone, you get unprecedented control, off the chart performance & innovations like the world’s first dual OIS for pro level photos front and back, as well as end-to-end 24-bit Hi-Res sound. It has, the worlds first Optical Image Stabilisation in both front and back cameras. It also has one of the highest smartphone camera rankings ever from DxOMark. It's camera has a special feature of hyperlapse, which is an exposure technique in time-lapse photography. In this, the position of the camera is being changed between each exposure in order to create a tracking shot in timelapse sequences. It's camera also has zoe capture feature, where in you can capture a combo of burst shots and a 3-second video clip for advanced editing features in gallery. 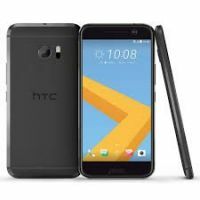 To Recieve updates and possible rewards for HTC HTC 10 (Topaz Gold) please sign in. To Recieve updates and possible rewards for Mobile & Smartphone please sign in.